Ann Arbor attorney Chad Engelhardt became a trial lawyer out of a strong desire to help people and make our community a better, safer place. “Although that sounds cliche and perhaps a little naive, I saw that trial lawyers fight the greed of the insurance and medical industries, protect our civil rights, and fight for equality and justice,” said Engelhardt. Given the gift of MAJ membership by MAJ Board Member (now Treasurer) David E. Christensen after graduating from law school, Engelhardt has been a member ever since. “Dave explained that MAJ would provide the resources needed to serve my clients and my community. I got the chance to put my passion to effective use when my senior partner and mentor, Steve Goethel, brought me into his firm. Steve strongly encouraged me to become much more actively involved with MAJ,” said Engelhardt. He added, “MAJ provides mentors and guidance from the finest legal practitioners in all areas of civil litigation. The MAJ listserver is a powerful tool for justice. I have received assistance from great lawyers, and that has helped me to serve my clients better, and I reciprocate whenever I can. While we may be in solo or small firms, by helping each other we have the combined resources and passion that outmatch any large defense mill. Wayne Miller’s posts on No-Fault issues alone are worth many times the price of membership. Engelhardt serves on the Executive Board and co-chairs the New Lawyers Committee. 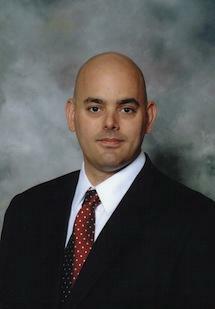 Along with his co-chair, Juliana Sabatini, he has coordinated a number of CLE seminars. He is a regular speaker on medical negligence and trial skills and has contributed two chapters to MAJ’s Starting the Case: A Manual of Complaints in Michigan. He also takes an active role in recruitment of new members. One of his most memorable cases was when Engelhardt & Steve Goethel prosecuted a wrongful death medical malpractice claim on behalf of the family of a child with Down syndrome in Wyoming. “The child died a needless and preventable death while in a large hospital. The nurse responsible altered the child’s medical records to try to cover-up her misdeeds. As part of our efforts to get the case resolved, Steve and I produced a video of what happened, how medical neglect killed this poor child, and how the tragedy had devastated the family. While the 7-figure recovery we made for the family was a great result, even more important the hospital is now using our video as part of their nurse and house officer orientation programs to teach about the impact of preventable medical errors. “Whatever success I have achieved is a result of the fact that I am a part of a great team. Steve Goethel is a highly experienced and talented trial lawyer and I still learn something new from him every day. Everyone on our team is committed to helping our clients in any way we can. We are very selective about the matters we accept, and we devote an incredible amount of time and energy to each client. Cami and Michelle, our paralegals and also MAJ members, share our beliefs and commitment and go above and beyond. From taking a brain injured client out shopping or for lunch, to sending flowers to people, to surprising cancer patients with pastries, their efforts which help people make the best of bad times is central to us.